Retirement is part of a person’s life after he or she worked for many years in the company or any institutional organization. It is said to be a special time to many people who are near to the end of their work career. Upon reaching the age of retirement, they feel a sense of fulfillment, pride, happiness and enjoyment for the next coming days for they will be spending the days without working anymore but living and planning numerous vacation with their families. 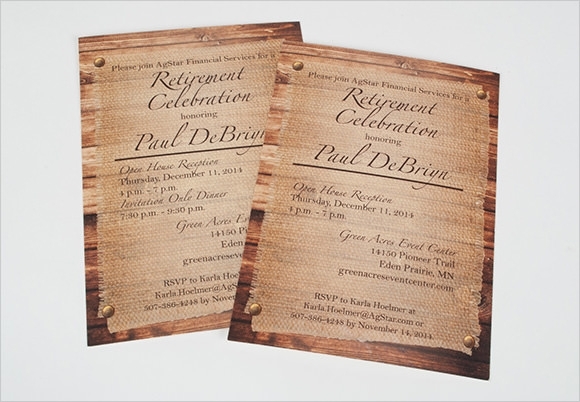 Therefore, it is an honor for a retiree to experience his or her last day of work to have a celebration of retirement party. This party may be formal, complete serving of meals, appropriate attire for the event and decorations in a rented private place. 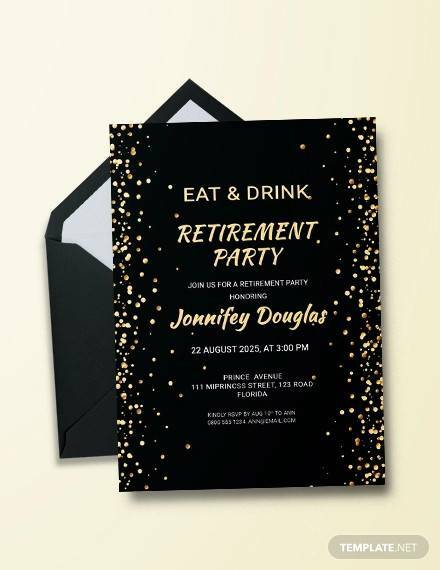 In some cases, the retirement party can be done in a small gathering of close friends, family members , workplace acquaintances and Retirement Invitation Templates. 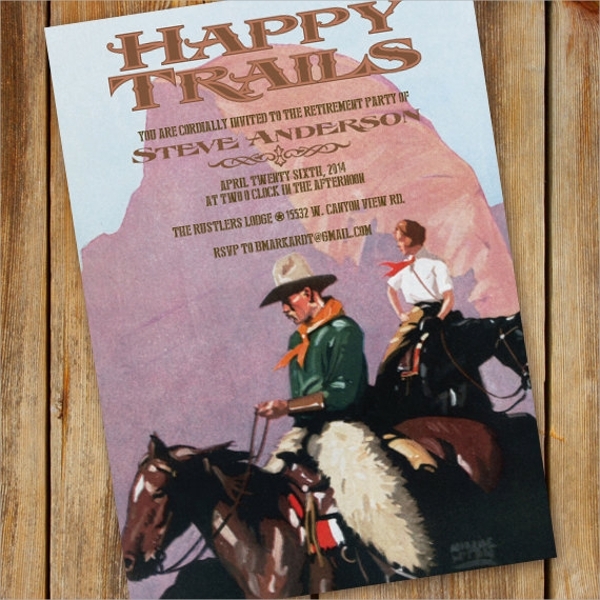 This template is for those who want to include some elegance and style in their invitation. 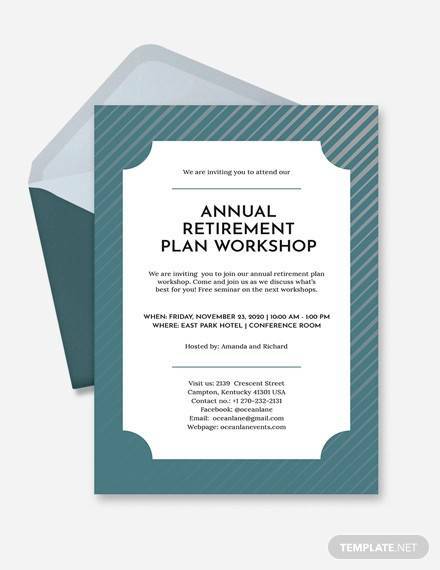 It comes in high resolution and easy to edit format, perfect for an invitation. 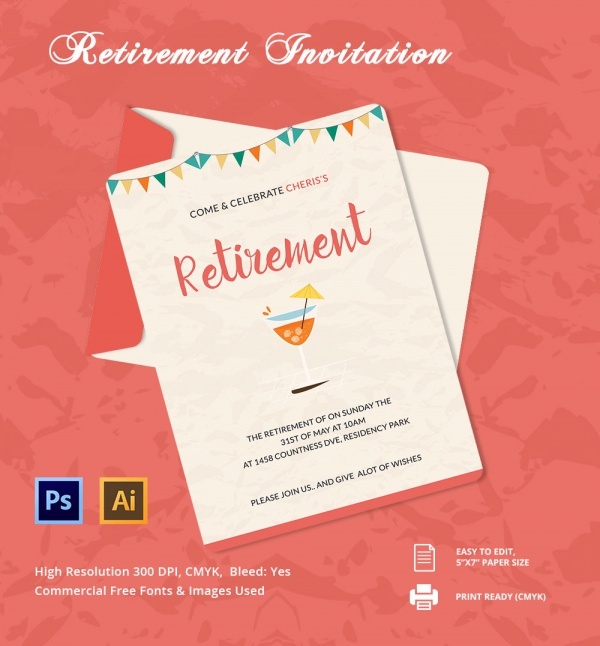 Here is a very impressive retirement party invitation template with a clean and sophisticated design that you will love. It can be easily edited and customized to meet your needs. 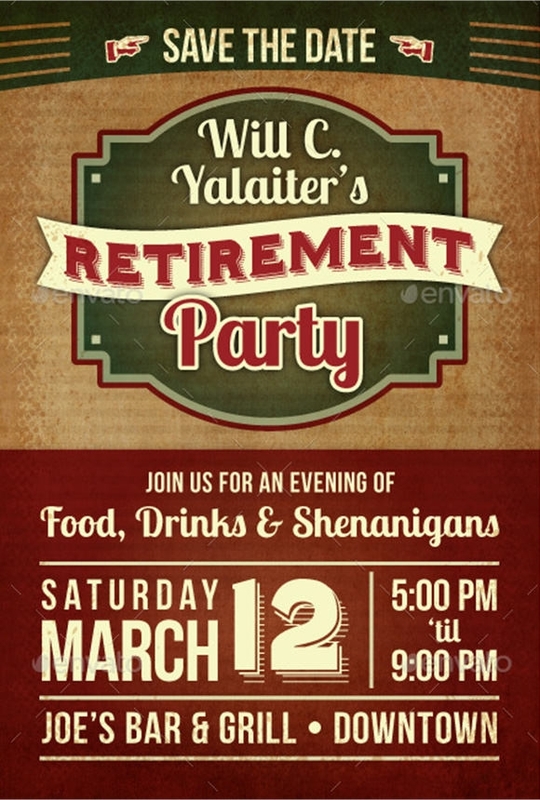 You must go for this template if you like colors and the use of fun elements in your retirement party invitation. It works best for a happy and fun party. 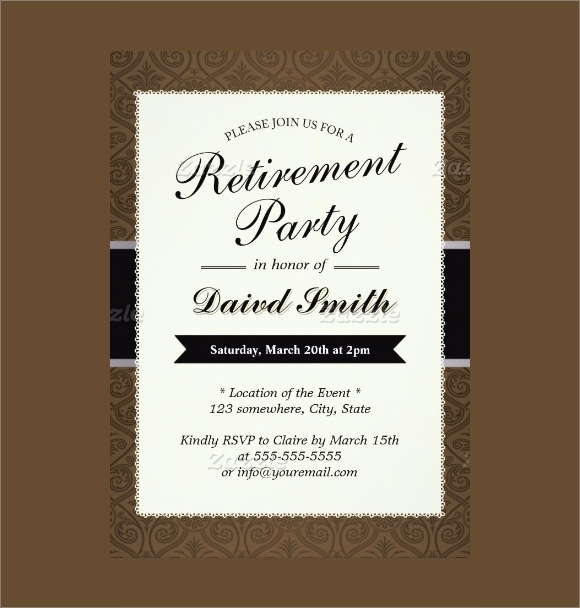 This is a beautiful and sweet retirement party invitation design that makes use of subtle colors and minimal design. You can use this template at all times without thinking twice. 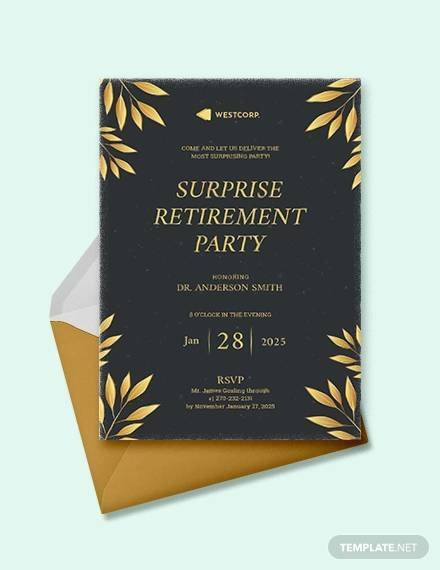 This is a perfect theme for a retirement party invitation, with a decorative background full of color and excellent design. Download this template and customize it as per your requirements.. 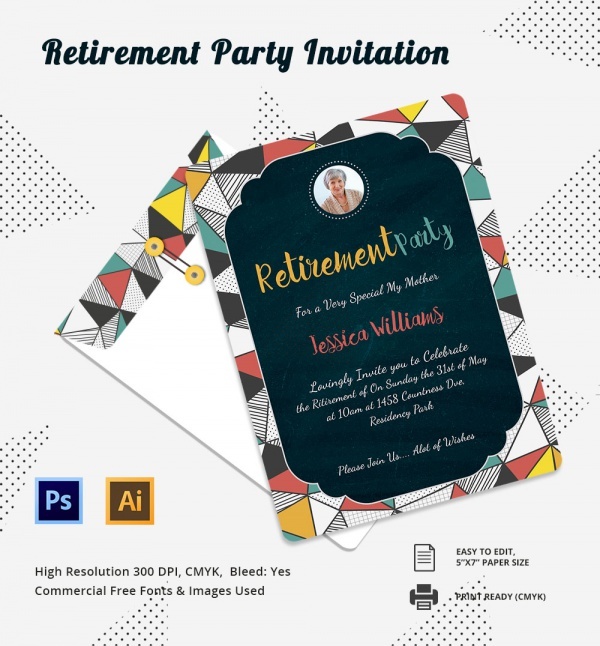 This is an evergreen template for a retirement party invitation card because of the classic design and perfect blend of colors. It is an all time favorite of many people. 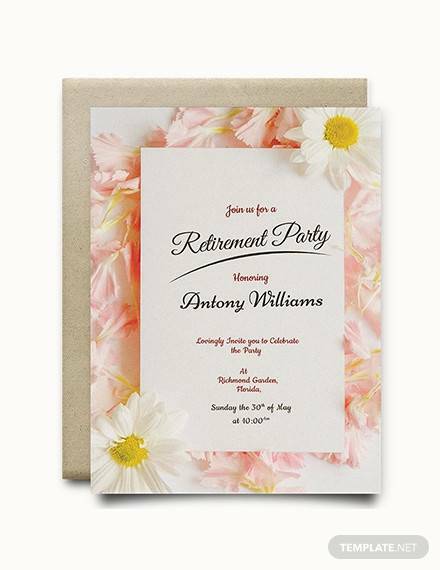 You must go for this template if you like the invitation to look warm and welcoming, with colorful flowers and creative design. This template is another favorite of many people. Here is a very funky, creative and modern invitation template that will surely make your guests smile. So get this unique, easily printable and quirky party invitation template right away! 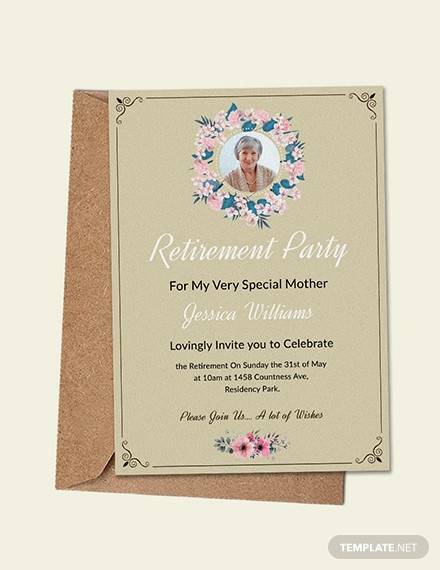 This is a lovely retirement party invitation template that lets you write to your heart’s content and touch your guests’ hearts. This is definitely a winner among all the others. Get this simple yet smart party invitation template that has good use of colors and a good amount of creativity. You are surely going to love it for its simplicity. 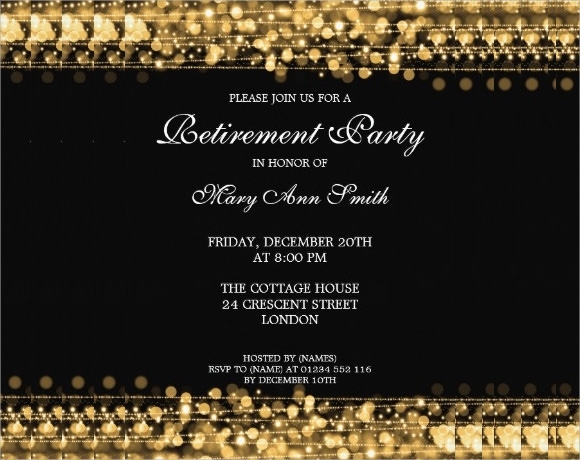 This is a very stylish and elegant retirement party invitation template that suits best for a high profile party. It is one of the best and will certainly impress guests. 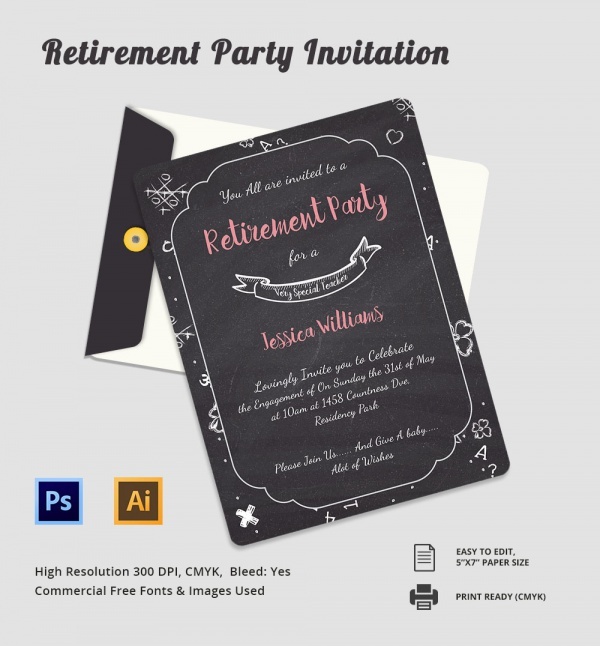 Get this decent party invitation template and impress your guests. It comes in a clean and stylish design with good use of fonts, borders and colors. Download it right away! 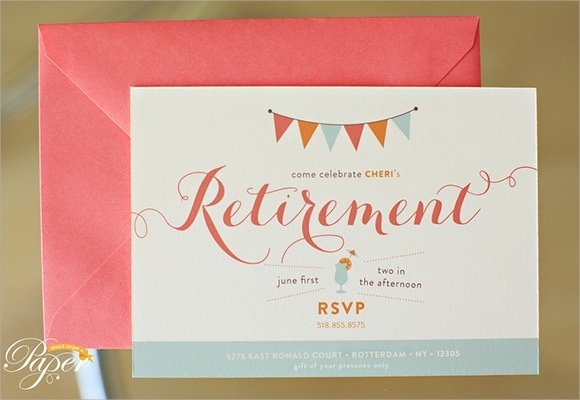 Planning a retirement party is one big task as it is the person’s most special day. They are at a level of satisfaction, happiness and pride. 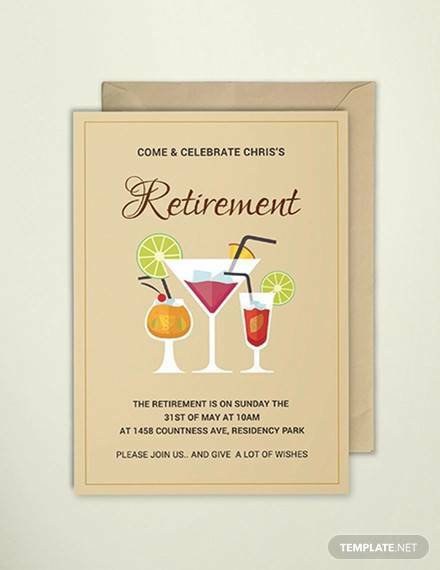 The retirement party invitation should reflect the same kind of emotions. 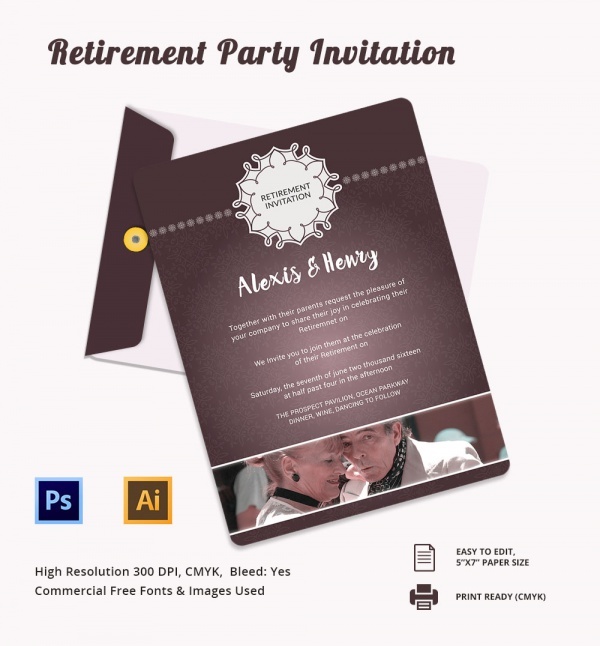 For this purpose, choose from the vast variety of amazing invitation designs above.